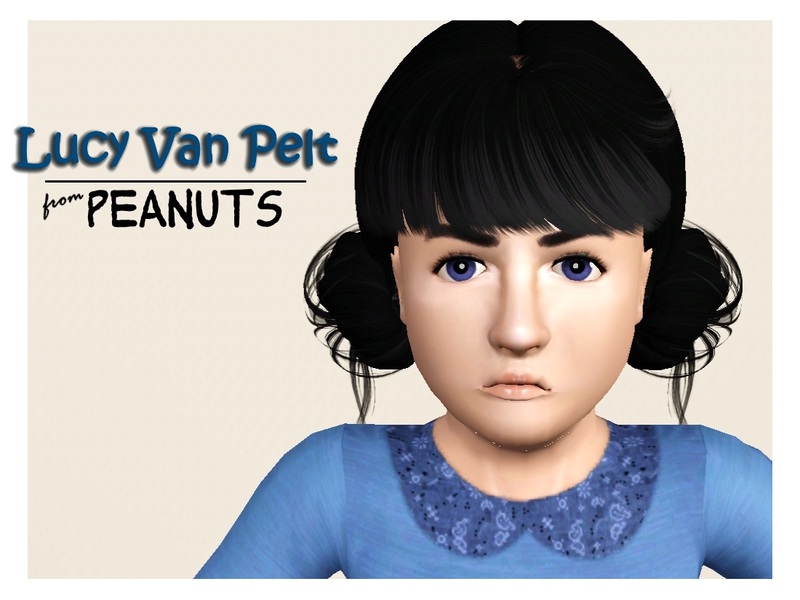 Mod The Sims - Lucy Van Pelt -- from "Peanuts"
Lucy Van Pelt -- from "Peanuts"
For the January item theme of "Tv/Film/Movies," I give you Lucy Van Pelt, of the "Peanuts" comic, (in)famous for her 5-cent psychiatric assistance and her complete unwillingness to hold a football for Charlie Brown. Lucy is a cheeky and rotten little girl with a vast superiority complex that often gets her into trouble (Diva, Inappropriate). 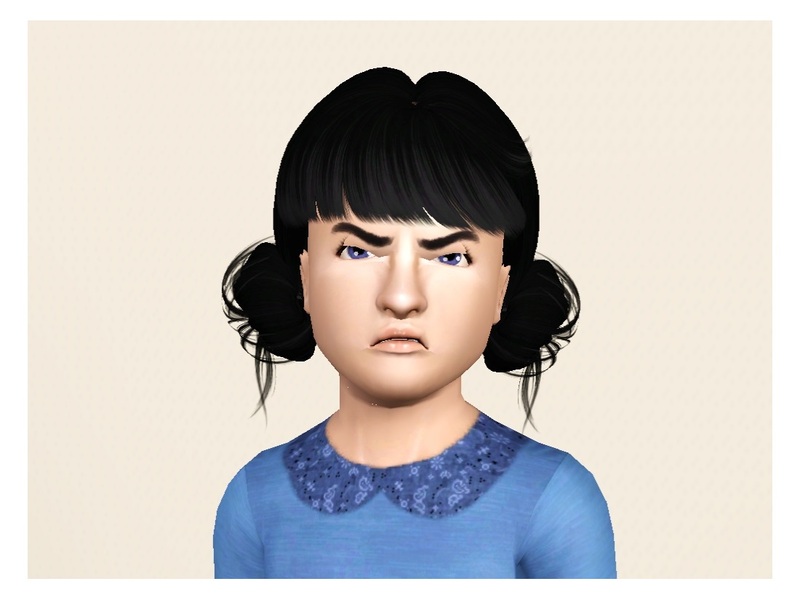 Despite dispensing advice to others on how to handle their problems, she's not particularly good at taking her own advice and is frequently in a bad mood thanks to normal life situations (grumpy). She also seems to be a bit prone to crushing on the wrong guys (Charlie Brown, Schroeder) which never ends well for her. Still, though, she's got time to grow out of it ... right? 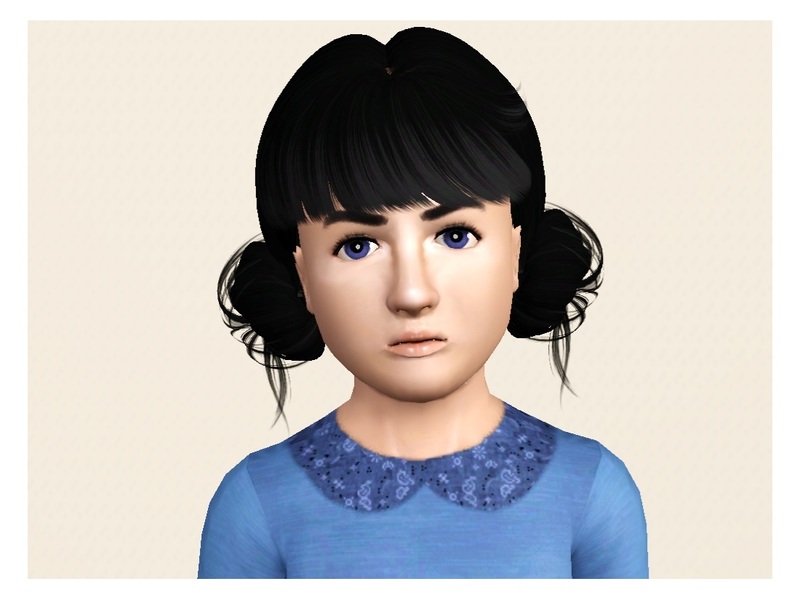 Lucy was developed as a child sim, but she grows up into a nice-looking teen and adult sim as well (if you want to grow up her up right away). She is saved using default EA skin. 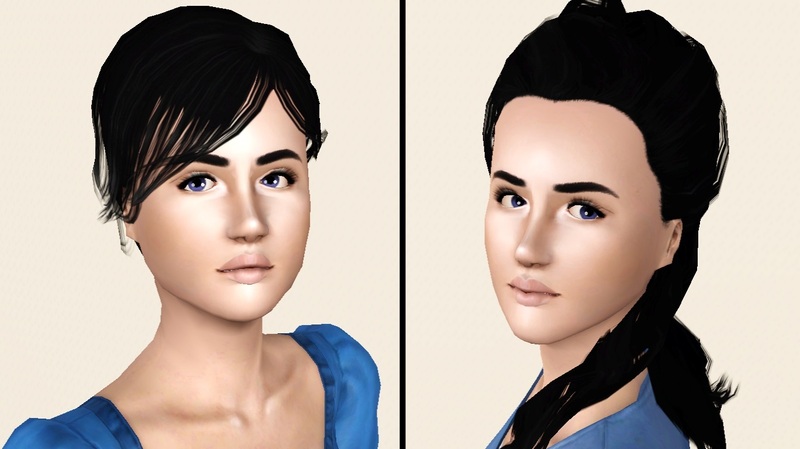 Lucy's facial sculpt was developed using a MasterController increased facial slider range of 3x. I think that she should be okay if you don't use MasterController in your game as long as you don't try to further adjust her face; otherwise you'll need to increase the facial slider settings in MC to keep her features from going haywire. Lucy uses three pieces of custom content in her photos, none of which are strictly necessary, but are recommended if you want her to look like the classic Charles Schultz version of Lucy. I hope you'll enjoy playing with her in your game. Charles Schulz, creator of the "Peanuts" comic, for making such a memorable character.